Here is the answer to the question I set a couple of days back. What do Aapke kamre mein koi rehta hai, Yeh jawaani hai deewaani, Pyaar deewaana hota hai and Yeh kya hua have in common, I had asked (besides the obvious: that Kishore had sung all four, and RD Burman had composed all four). Some people got the answer correct, and some came close to guessing. Yes, these songs were all copied by Burman from tunes he had composed for one film. That was a Bengali film named Rajkumari, released in 1970. 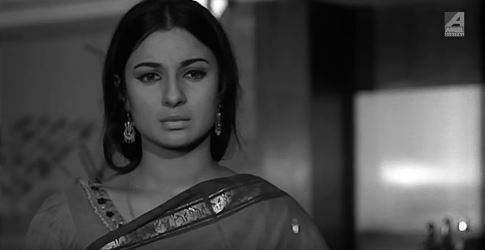 Rajkumari, starring Tanuja as the eponymous princess, is a film I came across thanks to friend and erstwhile fellow blogger, Harvey. Some weeks back, Harvey shared a link to one of the songs of Rajkumari (more about these songs, later). I liked it so much that I made up my mind I had to see it. And it turned out to be quite entertaining.